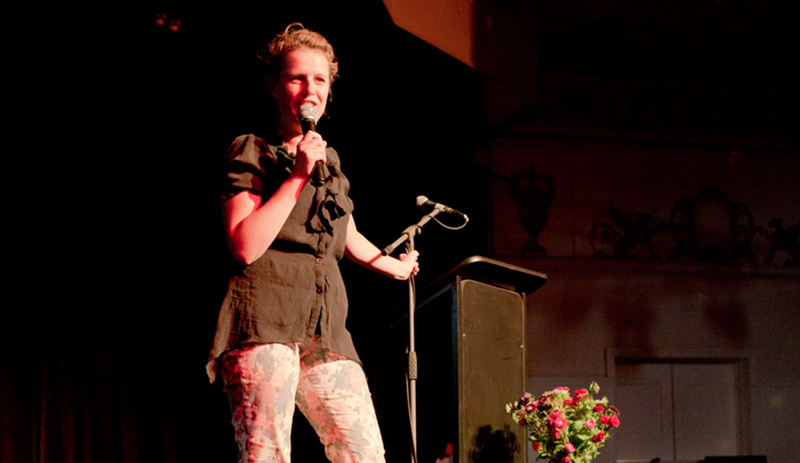 This March Catherine Deveny's army of Pushy Women returned, not once but twice! To the Thornbury Theatre and Gasworks Arts Park for Northside and Southside laugh out loud afternoons of storytelling about the humble pushbike. As we've come to expect from the Pushy Women speaking events, the full spectrum of human experience - love, lust, hate, desire, innocence, wisdom, pain and glory all featured. More than anything else, we were reminded how often a bicycle is hidden in the past, celebrated in the present or yearned for in the future of so many lives, and there is always a story to tell! The North event featured Kate Langbreok, Genevieve Morris, Bev Killick, Van Badham, Lally Katz, Anne Edmonds. Karen Pickering and Pip Lincoln. The South event featured Tracy Harvey, Kate Miller-Heidke, Karla Burt, Sally Warhaft, Nelly Thomas, Monica Dux, Bev Killick and BOTH were hosted by Catherine Deveny. Check out some pics from this wonderful afternoon. This March Catherine Deveny's army of Pushy Women returned, not once but twice! To the Thornbury Theatre and Gasworks Arts Park for Northside and Southside laugh out loud afternoons of storytelling about the humble pushbike. As we've come to expect from the Pushy Women speaking events, the full spectrum of human experience -  love, lust, hate, desire, innocence, wisdom, pain and glory all featured. More than anything else, we were reminded how often a bicycle is hidden in the past, celebrated in the present or yearned for in the future of so many lives, and there is always a story to tell! The South event featured Tracy Harvey, Kate Miller-Heidke, Karla Burt, Sally Warhaft, Nelly Thomas, Monica Dux, Bev Killick and BOTH were hosted by Catherine Deveny.